Single Maximus bunk bed 3'0" in solid pine. Colour antique pine finish with white mdf details. Slatted bases included. Can be purchased in a short version (160cms) ideal for smaller rooms. Ladder can be fitted on the left or right hand side. 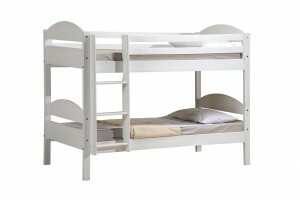 Single Maximus bunk bed 3'0" in solid pine. Colour white finish with white mdf details. Slatted bases included. Can be purchased in a short version (160cms) ideal for smaller rooms. Ladder can be fitted on the left or right hand side. 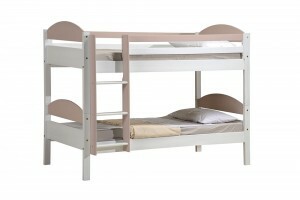 Single Maximus bunk bed 3'0" in solid pine. White finish with antique colour details. Slatted bases included. Can be purchased in a short version (160cms) ideal for smaller rooms. Ladder can be fitted on the left or right hand side. 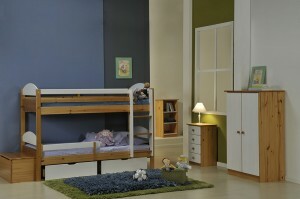 Single Maximus bunk bed 3'0" in solid pine. Colour white finish with blue mdf detail. Slatted bases included. Can be purchased in a short version (160cms) ideal for smaller rooms. Ladder can be fitted on the left or right hand side. 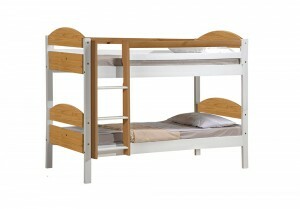 Single Maximus bunk bed 3'0" in solid pine. Colour white finish with fuchsia mdf details. Slatted bases included. Can be purchased in a short version (160cms) ideal for smaller rooms. Ladder can be fitted on the left or right hand side. Single Maximus bunk bed 3'0" in solid pine. Colour white finish with graphite mdf detail. Slatted bases included. Can be purchased in a short version (160cms) ideal for smaller rooms. Ladder can be fitted on the left or right hand side. Single Maximus bunk bed 3'0" in solid pine. Colour white finish with lilac mdf details. Slatted bases included. Can be purchased in a short version (160cms) ideal for smaller rooms. Ladder can be fitted on the left or right hand side. Single Maximus bunk bed 3'0" in solid pine. Colour white finish with lime mdf details. Slatted bases included. Can be purchased in a short version (160cms) ideal for smaller rooms. Ladder can be fitted on the left or right hand side. 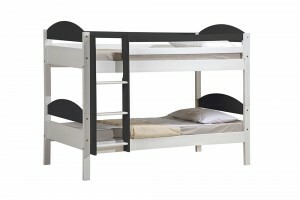 Single Maximus bunk bed 3'0" in solid pine. Colour white finish with orange mdf details. Slatted bases included. Can be purchased in a short version (160cms) ideal for smaller rooms. Ladder can be fitted on the left or right hand side. Single Maximus bunk bed 3'0" in solid pine. Colour white finish with pink mdf details. Slatted bases included. Can be purchased in a short version (160cms) ideal for smaller rooms. Ladder can be fitted on the left or right hand side.